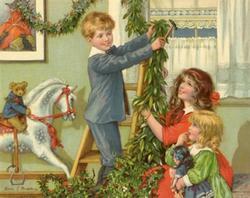 Even if you are not celebrating Christmas or only doing it for the kids there is no escaping from the festival. 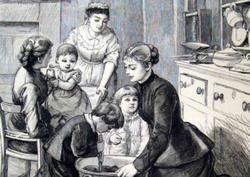 We are now in the middle of two significant Sundays which mark the beginning of Christmas. 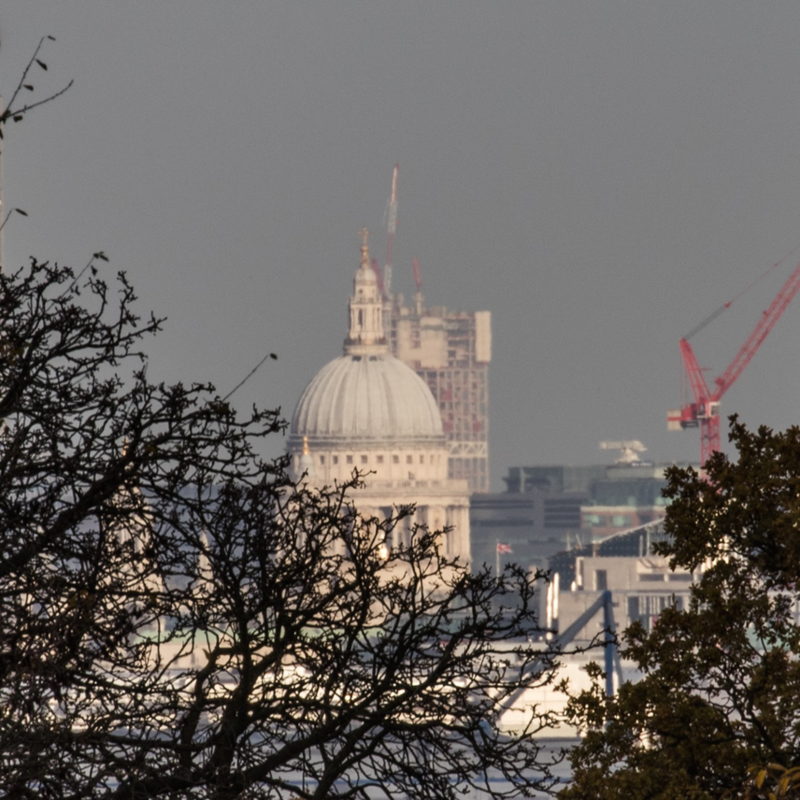 Historic protected view of St Paul’s cathedral from Richmond Park destroyed by new Stratford skyscraper and the Friends of Richmond Park calls for temporary halt in construction and urgent GLA review. Local parents who constantly ferry their teens round in the car wanted for new channel 4 programme. If you’re looking to buy a slightly different Christmas present this year, Grounded Yoga are offering a 6 week beginners introductory course into yoga starting on Sunday, 8 January 2017. With shops and supermarkets already brimming over with Christmas merchandise I think that we can safely assume that the Christmas season has started. The John Lewis yuletide TV Ad probably confirm it. But before you rush off to deck your halls with boughs of holly, tra la la la la etc etc… you might consider what folk-lore has to say on the matter. 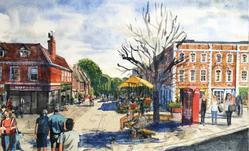 Richmond Council has started round three of the consultation on its plans to update the Twickenham Riverside. The first two rounds have not been very successful to say the least. This time there are three proposals to look at, all from the same architect. There is a pop-up on Church Street to see the plans and comment. You can also look online but turning up is the better way to see and have your views heard. 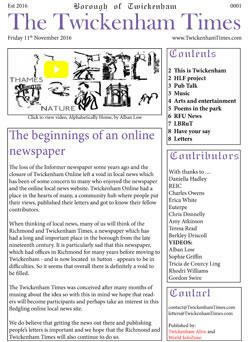 The folks at Twickenham Alive have started a new, online newspaper. A bit of an odd format for this day and age, but why not? Billed as ‘a new local newspaper for Twickenham”, the first edition is full of interesting articles and they have a lot of contributors. Virol. The Food For Health! When I was child living in Tufnell Park in the late 1940s a regular feature of my Primary School week was the arrival of the Virol Lady. She would turn up every Monday morning and dole out to anyone with a penny in their pocket a spoonful of Virol, a brown, sweet and incredibly sticky Malt Extract. She came equipped for the job with a jumbo sized jar of the miracle cure along with a massive key ring strung with hundreds of battered spoons. Twickenham will come alive with free music on Saturday 19 and Sunday 20 November as ‘The Streets’ hits the town centre with a series of vibrant ‘pop-up’ musical performances in some unusual locations.